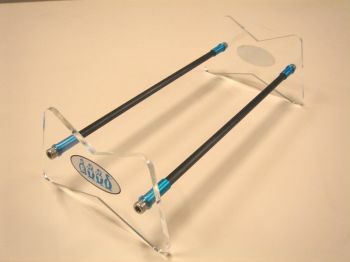 Carbon Fiber & Polycarbonate Boat Stand. Very nice boat stand, purchased three so far. One for working, two others for display / transport. 4 stars not 5, the release paper on the lexan could be a chore to remove. Will buy again!